The BBC have revealed that a new CBBC show starring Henry Winkler aka ‘The Fonz’ will make it’s debut on the iPlayer service before hitting broadcast TV. The comedy show called Hank Zipzer will air for 13 episodes, and begins online on January 21 first, a week prior to airing on the CBBC channel. The move is part of a 12 month trial by the BBC to premiere up to 40 hours of content online first. 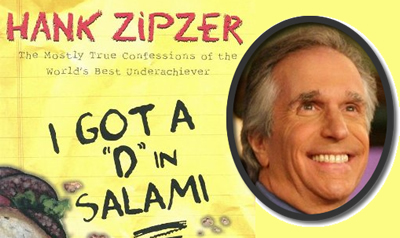 The show is based on the book series, Hank Zipzer: The World’s Greatest Underachiever, and tells of Winkler’s battles with dyslexia while growing up in New York. He is best known for his role in U.S sitcom Happy Days playing ‘The Fonz’. It will not be the first time the BBC have used the internet to premier new shows, they did the same thing with Bad Education and the Peter Kay comedy Car Share. The Channel 5 free to view UK broadcasting company, plan a new +24 channel to give viewers another chance to watch yesterdays shows. The new channel will join the existing 5+1 channel, and Demand 5 catch-up service giving multiple options to viewers. The +24 channel will programming from primetime on Channel 5 from the previous day. That will give viewers a chance to catch-up on hit TV shows such as CSI, The Mentalist, The Gadget Show and Under the Dome. Many TV companies now offer a +1 channel including Channel 4 and ITV, useful for those that just missed a show or started watching something half-way through. 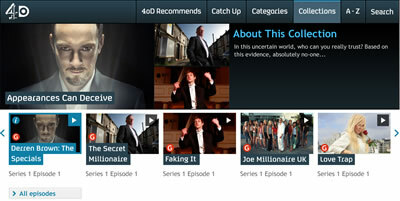 It gives viewers an option to watch before it becomes available on catch-up a day later. Channel 5 +24 will show the previous day’s Channel 5 programming for the hours of 7pm-1am, and show teleshopping during the rest of the day. The channel begins broadcasting on February 4 in the UK. The BBC iPlayer service has had more tablet requests than from computers for the first time since the service began, showing how dominant tablets are becoming with online TV viewers. Popular tablets such as the iPad and the Galaxy Tab were most catch-up viewers choice of hardware for connecting to the BBC iPlayer last year, beating computers, laptops, phones and Smart TV’s. 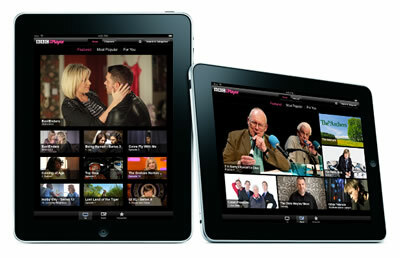 The tablet activity prompted iPlayer boss Dan Taylor to call 2013 the, “year of the tablet”. The iPlayer app had received 20 million downloads by last October, but had almost another million (941,000) app downloads between December 21 – January 1. Possibly because so many viewers got a shiny new tablet for xmas. The new year brought another record, as New Years day saw the iPlayer’s receive more than 11 million TV and radio requests, up 35% from the same day in 2013. Tablets are the perfect medium for watching streaming as they are light, portable and have long battery lives. They are preferable to smartphones thanks to the bigger screen size. Tablets overtook phones for iplayer requests last April. Streaming catch-up TV service Hulu have revealed details of the original content coming in 2014, and it includes second seasons of Seth Meyers animation, The Awesomes, Irish comedy Moone Boy, sports documentary Behind the Mask and comedy Western Quick Draw. Hulu which is owned by ABC, Fox and NBC also announced new 10 episode show Deadbeat, which is a supernatural comedy starring Tyler Labine and co-produced by Lionsgate Television due to premiere on April 9. Also coming later in 2014 is a Real Housewives spoof called Hotwives of Orlando, Brit vicar comedy Rev and teenage drama East Los High which looks at real life issues. Online streaming services are putting more effort into producing original content as finding existing programming becomes increasingly hard, a strategy also used by competitors Netflix and Amazon Instant Prime. The planned Intel streaming service OnCue failed mainly due to a lack of content sourcing. Hulu’s original seasons will be available in full on the Hulu Plus paid service, and a smaller selection on the free Hulu catch-up website. 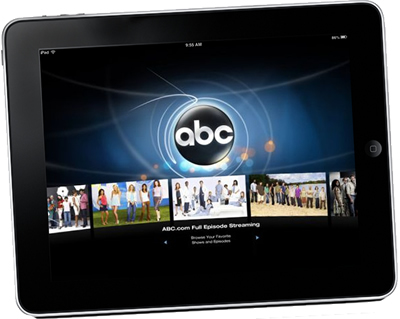 ABC catch-up TV is no longer free, unless you are already a subscriber to a participating Pay TV provider. As we reported last week, the watch ABC and watch ABC family app and website service is now only available after users provide account details. The good news is that some episodes can be watched without signing in, authentication is required if viewers want to catch-up with the latest episodes. Participating TV providers that include Comcast Xfinity, AT&T U-verse, Cablevision, Charter, Google Fiber Cox Communications and Verizon FiOS. Subscribers to participating providers need to verify account details via a username and password on the watchabc.com website or using the Watch ABC app. Users who are not paying or have already cut the cord have two options. Either wait a week before watching episodes or get a Hulu Plus subscription for a much cheaper than cable, $8 per month.